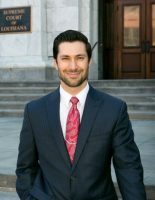 New Orleans personal injury attorney Jake Weinstock joined the Cossé Law Firm as an associate attorney in 2016. Jake’s practice focuses predominantly on personal injury cases, where he represents a wide range of people who have been injured by the negligent behavior of others. Jake Joseph Weinstock is ready to represent clients in almost any type of personal injury case. His practice currently concentrates on seeking justice for the victims of car and truck collisions. Attorney Jake Joseph Weinstock is passionately committed to the pursuit of justice on behalf of injured, innocent victims who need legal representation. He does not believe in limiting the access of clients to normal working hours; Jake shares his personal cell phone number with every client so that he can answer their questions and address their concerns at any time. He knows that the concerns and anxieties of injury victims are real – and are not limited to office hours. Jake Weinstock and the other injury attorneys at the Cossé Law Firm will be happy to provide a free review of your current auto insurance policy to determine if you have sufficient protection – such as uninsured/underinsured motorist coverage, which you’ll need in Louisiana if you’re injured by a negligent driver who is uninsured or underinsured. Jake Weinstock was born and raised in New Orleans and graduated from Metairie Park Country Day. He then attended Oglethorpe University in Atlanta and Loyola University New Orleans. He played varsity intercollegiate baseball for a total of four years – as a pitcher – at both schools. 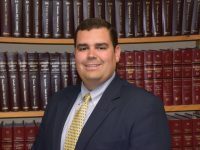 Jake then earned a Bachelor of Arts in History with a minor in Business from Loyola University New Orleans and a Juris Doctor from Tulane University Law School. 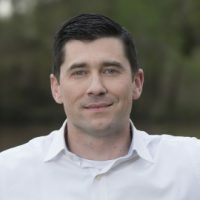 Jake is a member of the Louisiana State Bar Association, the American Association for Justice, the Academy of New Orleans Trial Lawyers, and the Louisiana Association for Justice. 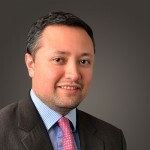 He is admitted to practice in all state courts in Louisiana as well as the United States District Court for the Eastern District of Louisiana. And he gives back to the schools that trained and educated him. 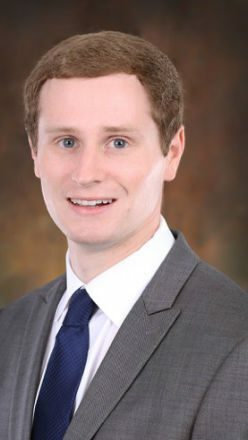 Jake serves on the Alumni Board at Metairie Park Country Day, on the Baseball Development Committee at Loyola University New Orleans, and on the Athletics Fan Advisory Committee at Tulane. He’s also the President of the Bachelors’ Club of New Orleans. In his spare time, Jake enjoys being with his loved ones, traveling, playing softball, and attending sporting events at Tulane. If you have been injured in a traffic crash and you need compensation for your medical bills and lost wages, speak to us at the Cossé Law Firm. Jake Weinstock or an equally capable New Orleans accident attorney at the Cossé Law Firm will explain and guide you through the legal process. We are proud of the advocacy we offer to injury victims in Louisiana. When you become a client of the Cossé Law Firm, your best interests become our top priority. If you’ve been injured in traffic or in any way by the negligence of an individual, a private business, or a state or local government agency, call the Cossé Law Firm immediately at 504-588-9500, or contact us online to set up a free initial legal consultation. We will always be candid with you, and we charge no fee unless or until you are compensated.